Lightning Charlie time wise not in my top four but it has got the best of the draw of the four known front runners, it could make the frame but I'm doubtful on the win part. Doc Sportello hasn't any course form but was slow in its Lingfield runs so maybe this surface doesn't suit it and another I doubt can win here. Little Palaver hasn't an recent course form, a time from 2015 would see it close to making the frame, it has been known to lead and win after a break and reasonable trainer/jockey stats. Karinji has got great trainer/jockey stats plus its a possible pace setter and its Lingfield times have it near the top, its never ran here but dangerous if taking to this track. Tundra god decent trainer/jockey stats but no recent course form its 2016 time could see it make the frame but it may need further to shine. Vimy Ridge is 2nd top rated on a time last year can be held up or track the leaders but may need some luck from stall 4 in the makeup of this race. Union Rose has poor trainer stats, the jockey is having his 1st ride for the stable but looks a better horse over a shorter trip. 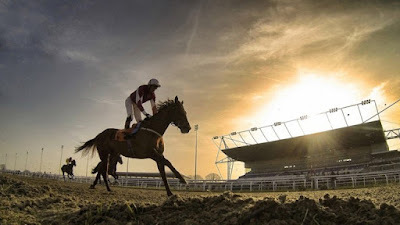 Higher Court also has a jockey making his debut for the stable but this one is my top rated, its won its last 3 races and is a progressing horse plus its a front running type and if getting to the front could prove hard to catch for the 4th time in a row. Classic Pursuit has only produced relatively slow times but it has got stall 1 but that may not be ideal in this race, even with a clear run i doubt it can win. SUMMARY: I've marked 4 of the 9 runners as possible lays, if there's any value in laying them, the other 5 all have some positives in their chances of winning, if my 2 top rated run their races then Little Palaver, Karinji and Tundra will be battling to make the frame but Karinji has got exceptional stats for both the trainer 30% win rate and jockey 35% win rate so could be the one to fill 3rd spot, Vimy Ridge is 2nd top but the jockey is 0-9 for the stable which puts me off a little bit whilst my top rated HIGHER COURT 5/1 has won its last 3 races and up in class again here but merits the opportunity and being a possible front runner it shouldn't encounter too much traffic problems but it is a race where my stakes will be kept low for backing the selection but maybe a value lay would be the call in this race, so I'm waiting to see the betting.